I have been looking at some of Mervyn Peake’s work, and there is a great site here, run by his son Sebastian Peake. I emailed Sebastian to ask for permission to use one of the photos on The Anthology of Guernsey site. 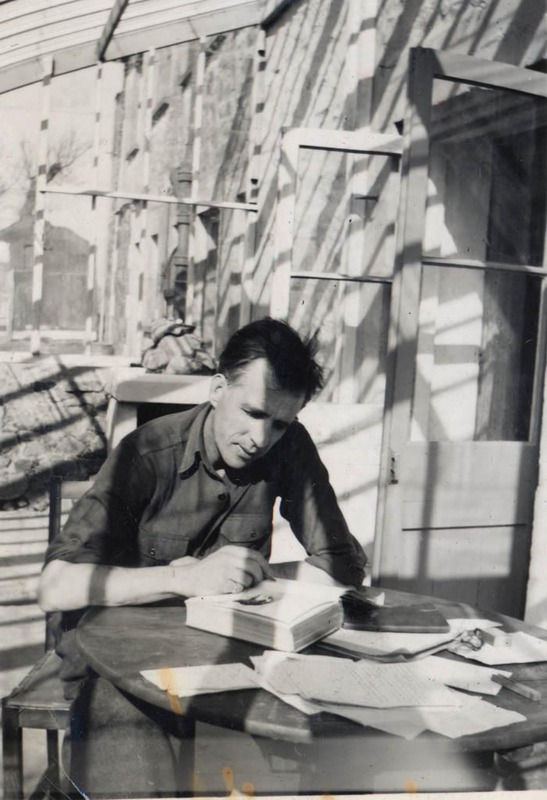 Sebastian says this picture is of his father “at work writing Gormenghast in the conservatory of our house on Sark, Le Chalet, in the late 1940s”. I was also interested to learn that Peake had lived near Warningcamp near Arundel. I have walked around the country round there several times, and looking over the river Arun towards the castle is a view which must have informed the creation of Gormenghast. Image of Mervyn Peake in Sark by kind permission of the Mervyn Peake Estate. 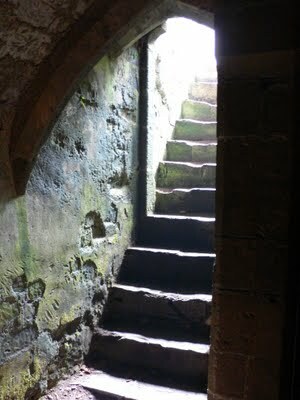 The other image is one I took a while ago inside Arundel Castle. This entry was posted in Uncategorized and tagged Arundel, Arundel Castle, Gormenghast, Mervyn Peake, Sark, Sebastian Peake, Warningcamp. Bookmark the permalink.